Tiger Shark attack on the Wild West Side. Surfers aid swimmer at historic Makaha on the west-side of Oahu Surf News, Thursday Sept 8 – A 51-year-old woman was swimming off of Makaha Beach when she was bitten by a suspected 10-foot-tiger shark. Eyewitness reports said that surfers paddled over to help the woman who screamed for help. One surfer on a shortboard had trouble transporting the woman so he motioned over a long boarder to help. Fortunately lifeguards paddled out immediately to help the victim who had bite marks on her shoulder and forearm. She was then rushed to a local trauma centre in serious condition. No word on her current condition. Witnesses say the woman is known locally as “Aunty Lulu” and is a regular at the beach. Boro added that he caught a glimpse of the shark. “As we got her on the big board, I was the last one out there by myself. 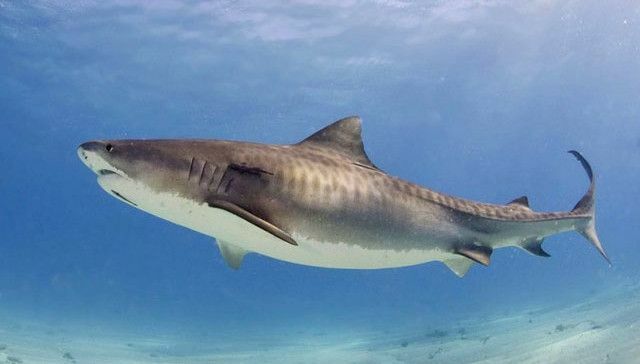 I turned around I saw a big fin, I can honestly say it was like a 10-foot tiger shark…the fin was like about two and a half foot… so I think it was a 10-foot tiger shark,” he said. Lifeguards have posted warnings at Makaha and closed the beach to swimming. Makaha was the site of the 1954 Makaha International Surfing Championships, which is regarded as the world’s first international surfing competition. It is home to the Keaulana family and patriarch Buffalo. His son, Rusty Keaulana is a three-time longboard world champion. Thoughts and prayers go out to Auntie Lulu for a speedy recovery.